Global bestselling author Tim Sanders will be on my show to discuss how you can improve your life, become more successful, and develop the right mindset to change the world. 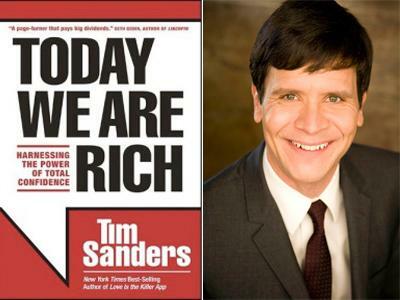 Tim's latest book, Today We Are Rich: Harnessing the Power of Total Confidence has received acclaim from highly influential bestselling authors Seth Godin & Dave Ramsey. What Tim says can change your life and outlook. Tim Sanders is the maverick CEO of Los Angeles tech start-up Net Minds and founder of research firm Deeper Media Incorporated. Prior to these positions, he was the Chief Solutions Officer at Yahoo, as well as its Leadership Coach (2001-2005). He's a strategic consultant to leading brands, associations and government agencies. His background is economics, psychology and debate, giving him a rare blend of stories and science to move audiences to action. He's weathered the Quality Movement, the Dotcom Crash and the recent downtown of 2008–emerging stronger from the experience. Time Magazine called him a "Public Consultant" because of his extensive pre-keynote research and highly customized advice points for groups. He's one of the top rated speakers in the history of over twenty conferences, conventions and offsite meetings. Tim is the author of four books, including the global best seller Love Is The Killer App: How to Win Business & Influence Friends. 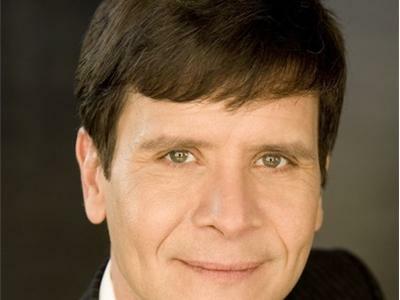 His second book, The Likeability Factor was featured in major media from USA Today to the New York Times. His latest book, Today We Are Rich: Harnessing the Power of Total Confidence is an Inc. Magazine business bestseller. Its message: "Take control of your outlook and get your confidence back!" is right for the times.